Adding wood to your fire is the only way to get true smoke flavor in your smoker. Whether you have an electric, gas, or charcoal smoker, you can add wood to get the authentic barbecue flavor. Fortunately, wood chips and wood chunks come prepackaged for your convenience, but which should you use? When buying wood for smoking, aside from getting a hardwood with a pleasant smoke, look for wood of good quality. Large amounts of bark, resins, and impurities will produce noxious smoke that will be counterproductive, regardless of the type of wood you are using. Good quality wood for smoke is as important as selecting the right kind of wood for the food you are smoking. Whether you are using chips or chunks, you want them not to burn away too quickly. If they are burning fast they create intense bursts of smoke that can make your food bitter. By soaking wood in water for about 15 minutes for chips and 30 minutes for chunks you can slow down the combustion and lengthen the time in which the smoke is created. Make sure you let the wood drip dry for a few minutes before you add it to the fire. You want the wood to be moist, not dripping wet. If you are using a charcoal grill, add the wood directly to the coals once the fire has died down and you are ready to grill. Don't add before you are ready to cook or you will be wasting the smoke. A vertical gas smoker will have a tray or pan above the burner to hold the wood. Add the wood after the unit is up to temperature and allow the smoke to develop before you add the food. 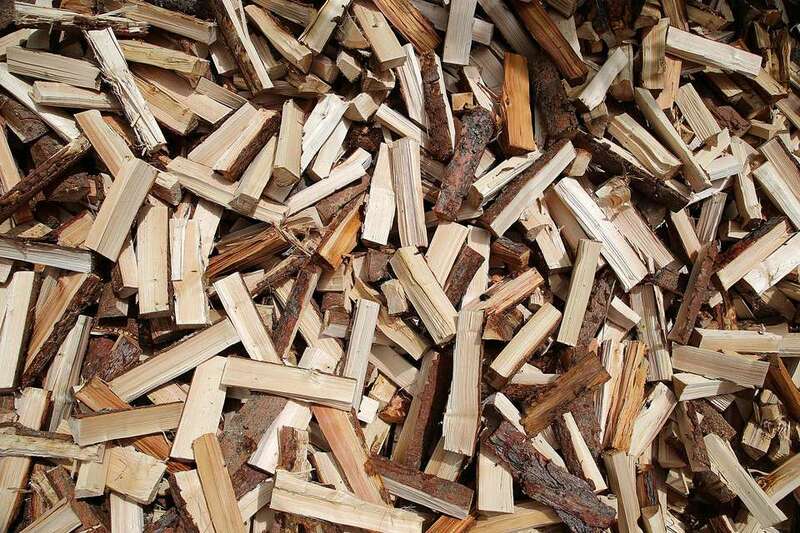 If you are adding wood chips or chunks to a gas grill, then you need to arrange to keep the wood isolated from the fire. Look for a device that holds the smoking wood chips so the ash doesn't collect in your gas grill, such as a cast iron box. Or, you can use a sheet of foil. Place your soaked wood on the foil, wrap it, and punch a couple of holes in the foil for the smoke to escape. Place this packet on the grill with your food.